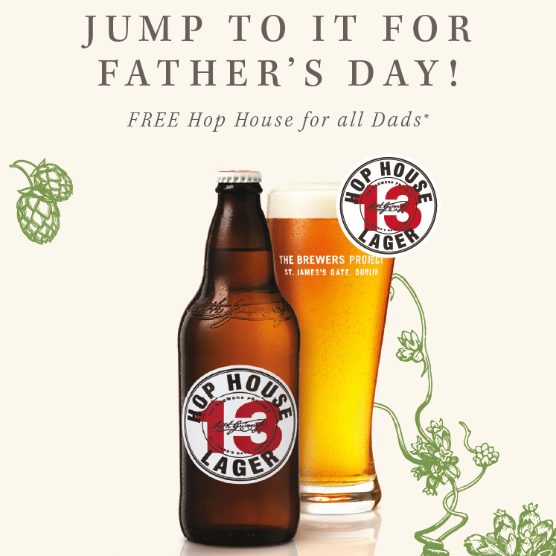 To celebrate Father’s day we’ve teamed up with Hop House to treat all dining dads to a complimentary lager. So to join us on Sunday June 17th for a delicious meal and pint of Hop House, on the house, book your table today. *Subject to availability. Offer valid when dad is dining. Not valid with any other offer or promotion. Pint or bottle depending on venue.